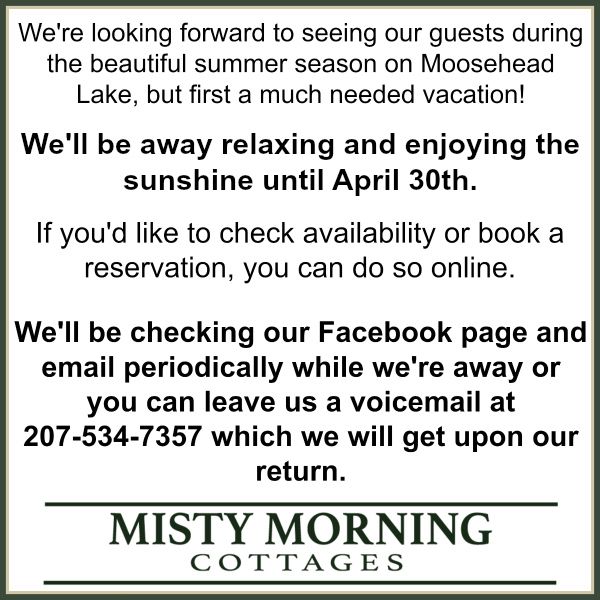 Northeast Whitewater in Shirley Mills, Maine is approximately 45 minutes from Misty Morning Cottages. They offer white water rafting trips on the Kennebec, Penobscot and Dead Rives. They even have overnight rafting trips available.